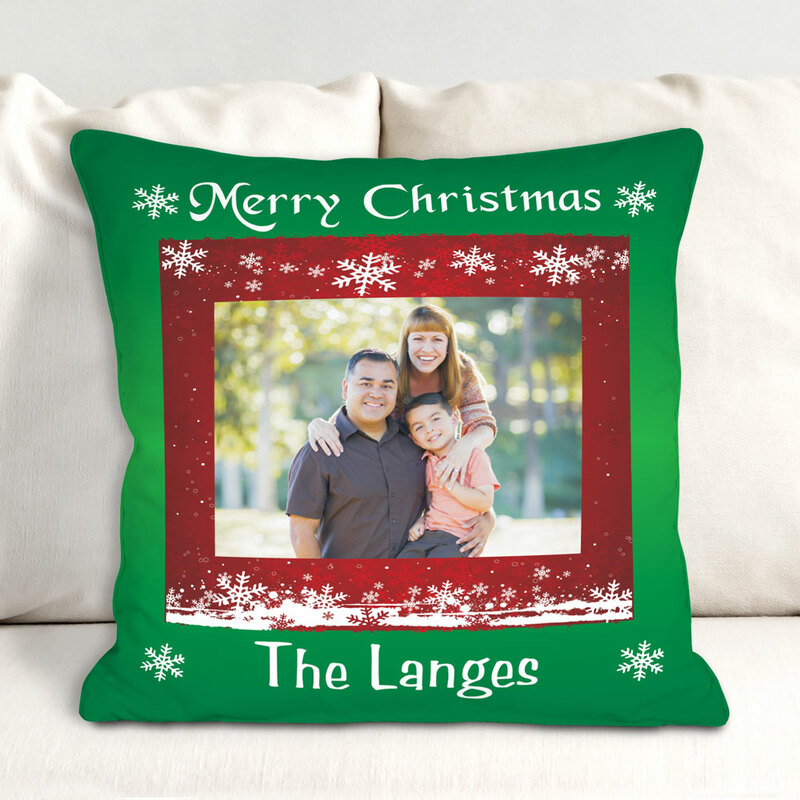 Accent any room this holiday season with the personalized Christmas throw pillow. This Personalized Christmas Decor keepsake is created using your digital photo (recommended pixel resolution/dpi is at least 800 x 800) and can be personalized with any two-line message! This custom photo pillow makes a great Christmas gift that will be enjoyed all throughout the year. The pillow is so much more beautiful in person! I will be ordering two more in the very near future!